Steeped in heritage and culture, distinctive architecture, old customs and traditions, Oman's unspoilt landscape beckoned the traveller in me at almost every turn and I happily gave in. I caught my breath more than once as I found myself gazing upon forbidding mountain faces, deep ravines, rocky arches, dramatic canyons, hairpin bends and sinkholes. Without a doubt, Oman offered me a delightful mix of the entire travel troika: beaches, mountains and deserts. Manjulika Pramod An Indian blogger who loves to dig in great food and unique experiences. When I told people that I was travelling to Oman, I got three categories of responses - ignorance, bemusement and encouragement (from those who'd been there and knew of its outrageous beauty). To my dismay, most of the responses I got belonged to first two categories, but I'd heard and read enough about Oman to know that there was much more truth in the third. I'd been to desert destinations before - Riyadh and Dubai - but I was excited by how much more Oman had to offer than stretches of sand. It certainly added to my enthusiasm that Oman's Ministry of Tourism would be taking care of all the arrangements for my trip. 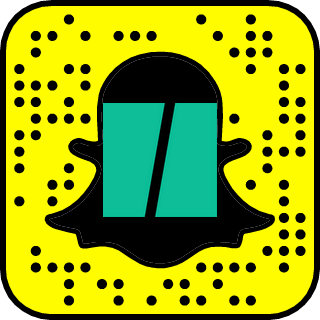 It was one of those times that being a blogger really paid off. When the Sultanate's tourism department decided to woo Indian travellers of India, they chose an interesting way to educate and build curiosity around Oman by organising a national-level blogging contest. Well to write a blog around the unseen was challenging, but my sights were set on the trip. To my luck, my blog post made it to the coveted three (you can check it out here). So, did Oman live up to my expectations? Yes it did, and more. With a history of more than 7000 years, the Sultanate of Oman happens to be the oldest independent state in the Arab World. Skirted by pristine beaches, the beauty of this country took me by surprise. While its neighbour Dubai has a fascination for everything the biggest, largest and highest, this Arab state isn't intimidated at all. 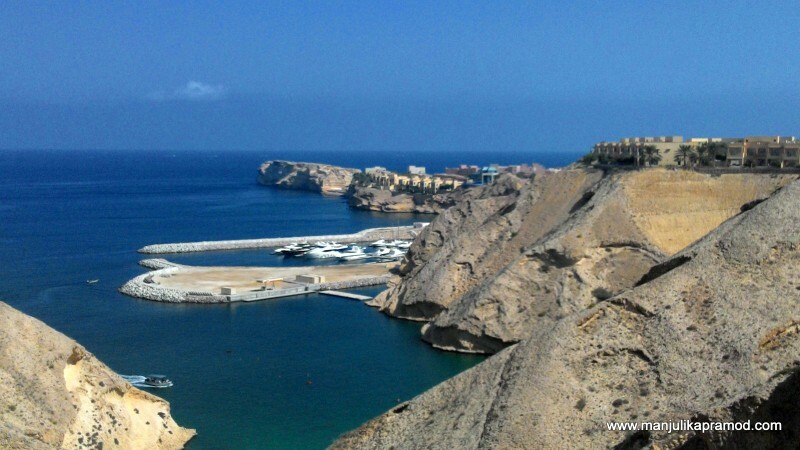 Oman sits pretty on its strategic location and natural bestows. 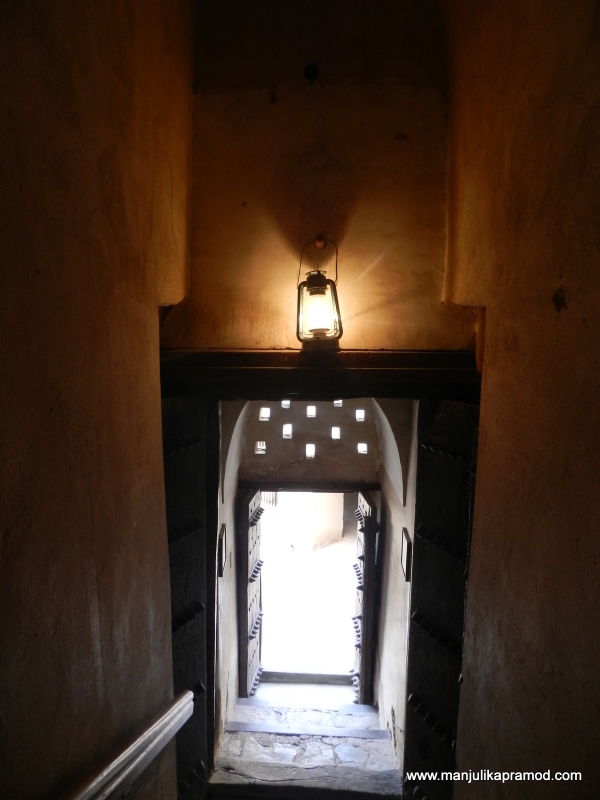 To be honest I preferred its down-to-earth charm and heritage structures to the sometimes harsh glitter of Dubai. The capital, Muscat, houses the magnificent Sultan Qaboos Grand Mosque, and is happily peppered with fortifications built during the Portuguese period (my visit to Nizwa fort was like an exciting class of history). To the shopaholic in me, the souqs in Mutrah and Nizwa provided a refreshing break from branded shopping malls. Last but not the least, I met the some wonderful people. Omanis are amazingly hospitable and generally very friendly. 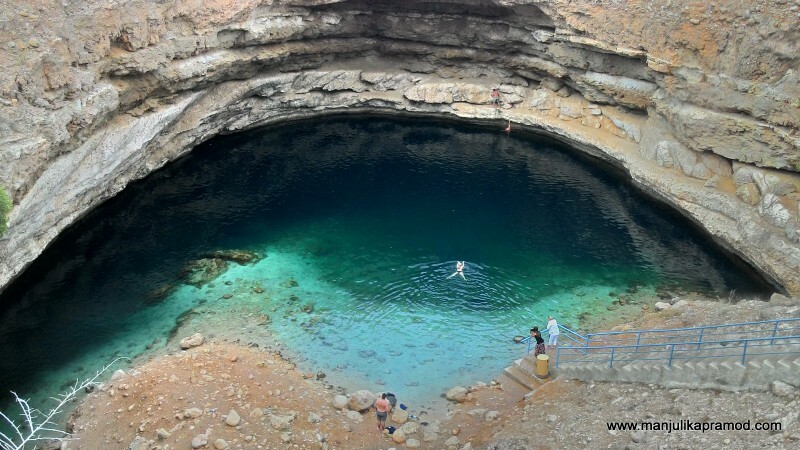 If you plan to go to Oman (and if you don't I recommend you do! ), take a cue from the highlights of my trip. Sharqiya Sands, also known as Wahiba Sands. This is one of the most beautiful deserts in the Arabian Peninsula. I can never forget the gorgeous sunset. 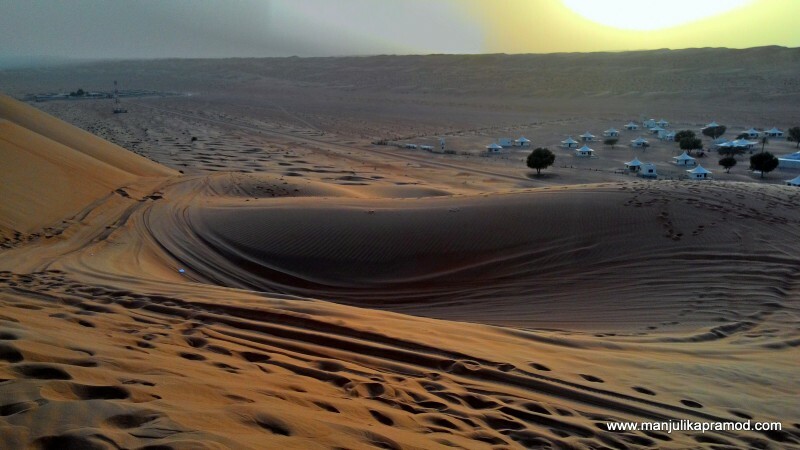 Sand dune bashing was thrilling and my best night in Oman was spent camping here. With 3165km of coastline and a year-round breeze, Oman's turquoise waters are great for surfing and sailing. 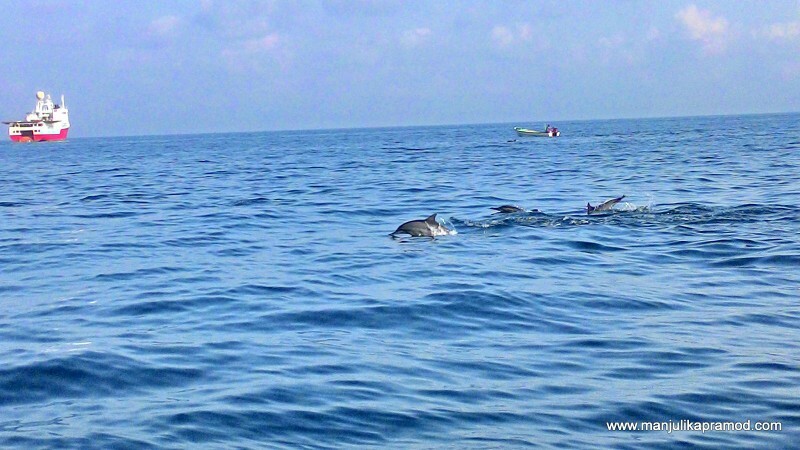 Dolphin-watching at Marina Bandar Al Rowdha enthralled the child in me. 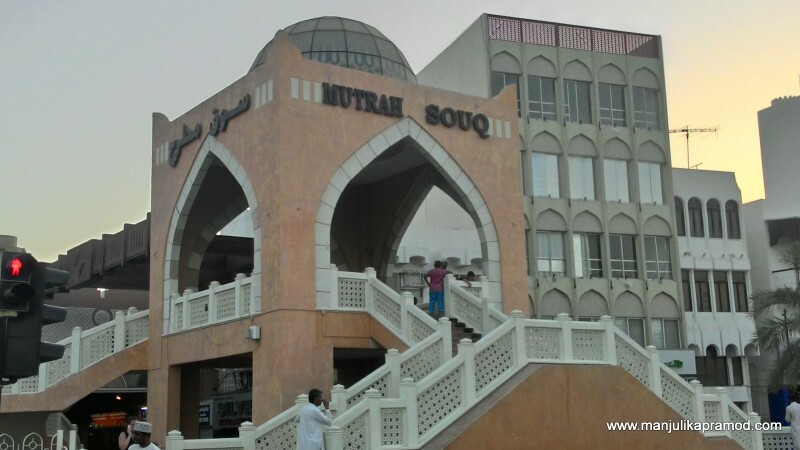 Mutrah souq was a refreshing change from the usual malls. A dhow cruise is an essential component of a trip to Oman. 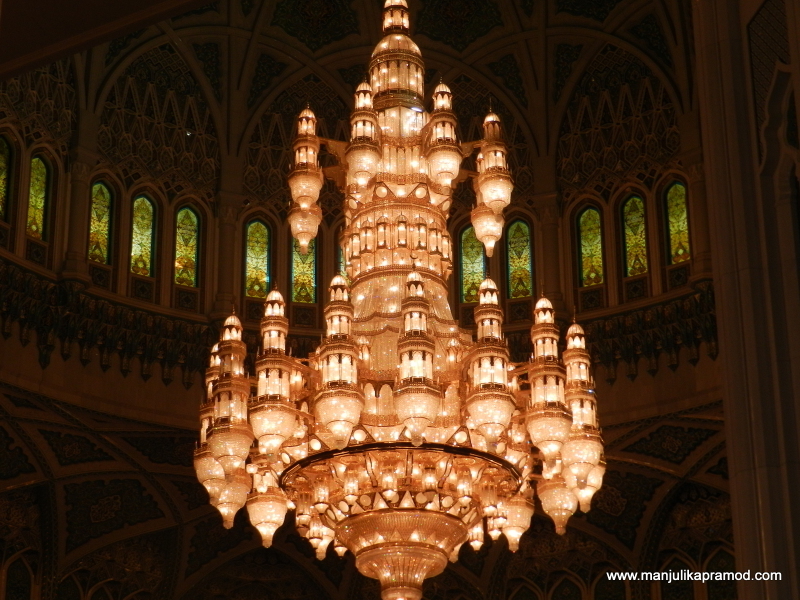 An opulent chandelier inside the Sultan Qaboos Grand Mosque. 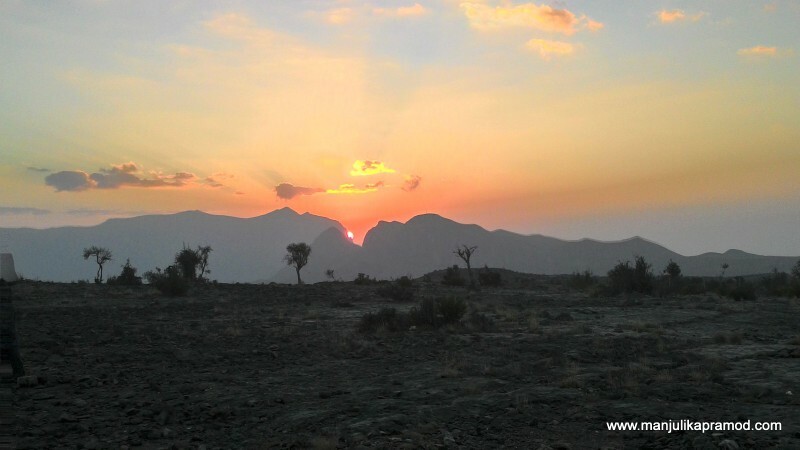 Sunset at Jebel Shams (Sun Mountain). The drive to the peak was both beautiful and scary. The furious road bends and rocky terrain gave me goose bumps all the way but the sight at the canyon and the sunset beyond the mountains was worth every bit of the adventure.